Stephen Curry says the Golden State Warriors will enjoy being the team to beat in the NBA once again in the coming season. 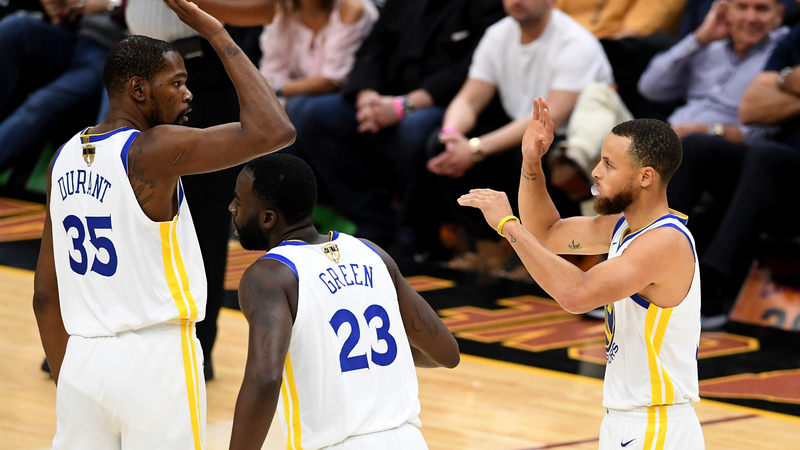 The Warriors won a third title in four years last season, before securing a new deal for Kevin Durant and bringing in DeMarcus Cousins to further boost a sparkling roster ahead of the new season. Even with LeBron James now playing for the Lakers in the West, Golden State looks obvious as a title candidate for 2018-19 and Curry is relishing the challenge. “We just have a great collection of guys who know basketball at a high level and have high IQs,” Curry, speaking courtesy of Under Armour, told Omnisport. “We are obviously very talented and skilled but, character-wise, we are all very selfless and understand it takes a full unit and a lot of sacrifice for it to work. “The biggest thing I try to lead by is just having fun doing it. In the NBA there are a lot of teams trying to knock us off because we are the champs and that’s how it’s supposed to be. Curry has come through various injury struggles to be a key member of this Warriors team, even missing a chunk of last season, but he claims these woes serve as motivation. “Injuries are, at first, tough to deal with, whether it is something that keeps you out a really long time or something that nags you and everything in between,” he said. “It’s all about your perspective and your approach to rehab and the recovery process. For me, the goal is to be better than I was before I got hurt. “For me, I always want my injuries to turn into successes in terms of the work I put in to get back on the floor. It was hard, it was emotionally hard and you need people around you, but you can definitely come back stronger. “I use it, but mostly it gives me a fresh perspective on not taking health and games for granted. I get to play basketball for a living and, for a time, it was a little bit in jeopardy because I was hurt so much with my ankle.